HAMBURG, Germany --- As part of a major product demonstration on the Airbus airfield in Hamburg-Finkenwerder, Hensoldt, the leading independent sensor house, provided proof of the excellent performance of its Xpeller counter-UAV system when it comes to protecting airports and critical infrastructure. 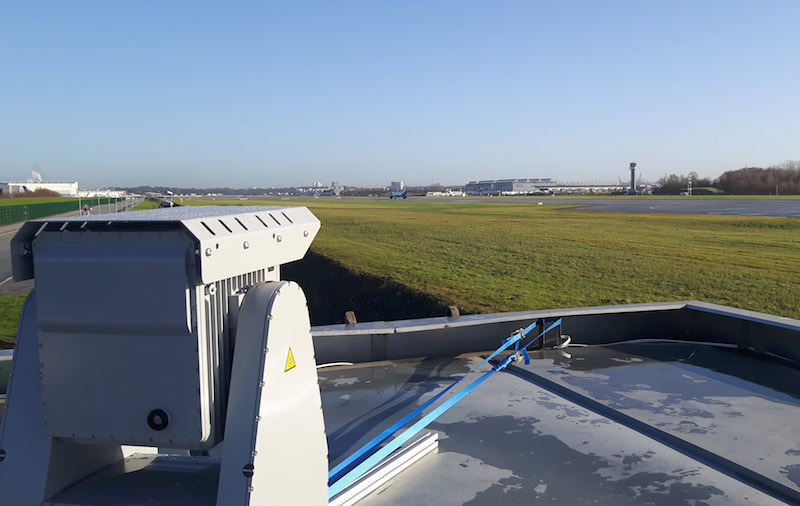 Hensoldt demonstrated counter-UAV measures using a combination of radar, RF and optical sensors and a targeted jammer to representatives from the police, industrial companies, airport operators and armed forces. For this, the individual elements of the system were positioned in such a way as to ensure optimum surveillance of the whole area. This involved seamlessly integrating Xpeller into the airfield's infrastructure and proving its compatibility with all the other local systems. Xpeller also managed to reliably detect UAVs starting from different locations. The visitors considered it to be a particular 0at a distance of several kilometres and to identify them as threats. The modular Xpeller product family includes various sensors such as radar, camera and radio frequency detectors as well as direction finders and jammers. Xpeller uses sensors to detect and identify a drone and assess its threat potential at ranges from a few hundred metres up to several kilometres. Based on real-time analyses of the control signals, a jammer then interrupts the link between drone and pilot or interferes with its navigation. The modular Xpeller system concept relies on the selection of individual devices from the product family depending on customer requirements and local conditions. Hensoldt is an independent, globally leading supplier of premium sensors for security and surveillance missions. The company is active throughout the world in such areas as missile warning systems and submarine periscopes. Moreover, Hensoldt is very active in the market for radar systems, optronics and electronic protection systems. The company comprises the security and defence electronics activities of the Airbus Group, which were spun off from the group in 2017 and have now entered the market as a new sensor house under the brand name of Hensoldt. Hensoldt employs approximately 4,000 employees, generating annual revenues of about €1 billion.